The Terrace at 100-118 Paterson Street Carlton North consists of ten houses. The houses were erected on a speculative basis by Jurtus Wombach. Nos 102-118 were constructed gradually from 1889-1894, although it appears that No.100 was added in 1911. 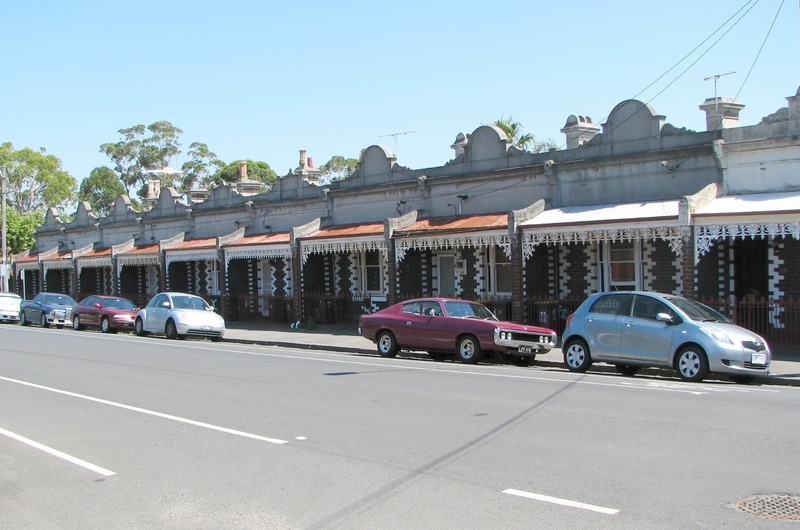 The single storey brick terrace has a gallery on the street facade with a cast iron frieze. The cornice and parapet are rendered and each house is expressed by a pedimented name plate. The Terrace at 100-118 Paterson Street Carlton North is of architectural and historical significance to the State of Victoria. 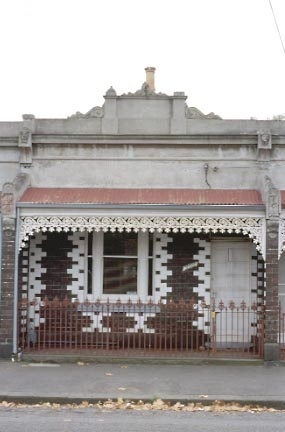 The Terrace at 100-118 Paterson Street Carlton North is of architectural significance as a notable example of boom style terrace architecture. The unusually long row is composed of ten repetitive units with some variation in the parapets. The polychrome brickwork on the ground floor, the rendered cornice and parapet and the cast iron gallery comprise a typical boom period composition. The cast iron palisade railing between the front gallery and footbath is an original feature of the terrace. 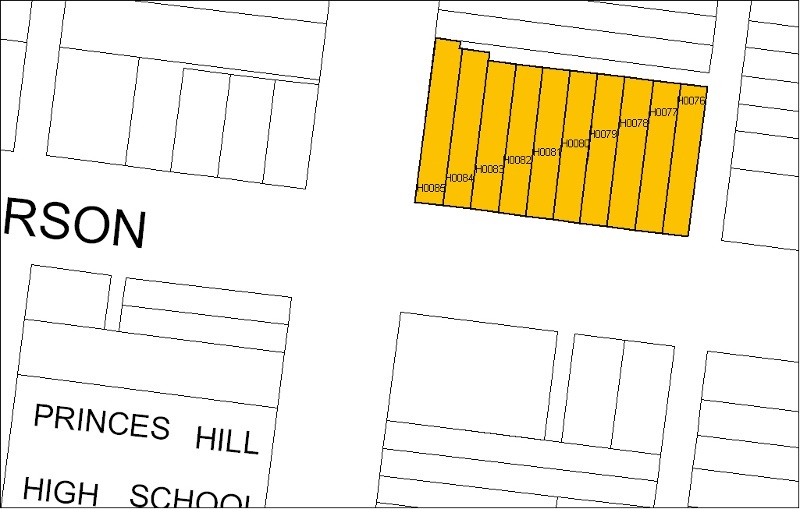 The Terrace at 100-118 Paterson Street Carlton North is of historical significance as an essential part of the Carlton North precinct, an area that contains some of Melbourne’s finest and most intact 19th century streetscapes. 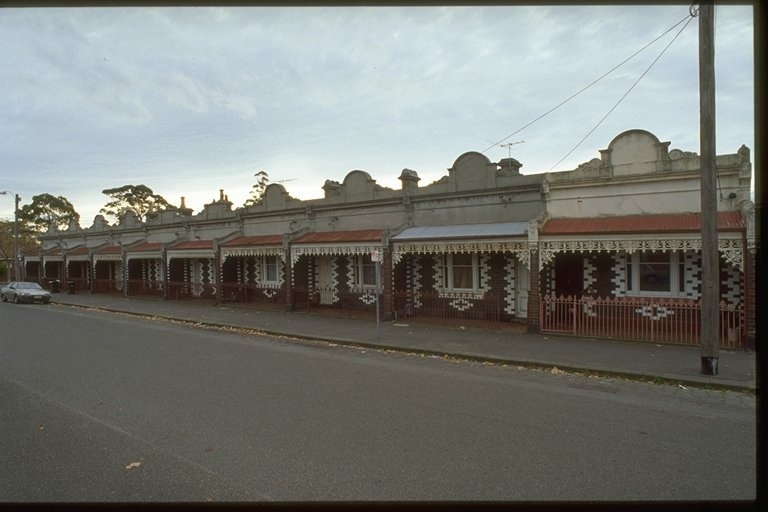 The Terrace also provides evidence of the substantial growth of Melbourne’s inner suburbs in the latter decades of the 19th century. The extended period of construction of the individual houses probably reflects the nature of speculative building, although the intervention of the economic recession in the 1890s may have had some impact on their completion. City of Melbourne. No. 81. Building, 110 Paterson Street, Carlton.